Select historic houses of our plantation afford a great sense of personal envelopment by the estate of wine, and preserve the intangible space for reflection that cannot be attempted by a conventional hostelry. A classic Georgian villa, The 1804 Inn predates, by a generation, the construction of Governor Barbour’s mansion which it overlooks, and its three suites are expansive and luxurious in the most timeless way. 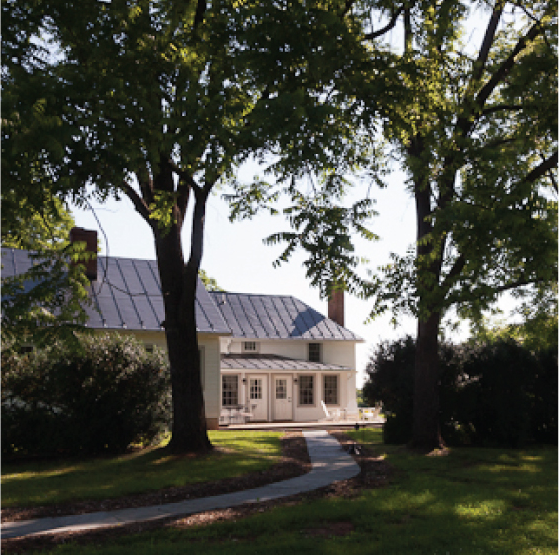 The 18th Century Vineyard Cottage, originally constructed for domestic servants, is one of the oldest dwellings in continuous occupancy at Barboursville and irreplaceably evokes the estate's plantation history. Partitioned into two intimate bedroom/sitting room accommodations, the Vineyard Cottage affords exclusivity, comfort and seclusion, within strolling proximity to the historic landmark Ruins, the Tasting Room, and Palladio Restaurant. 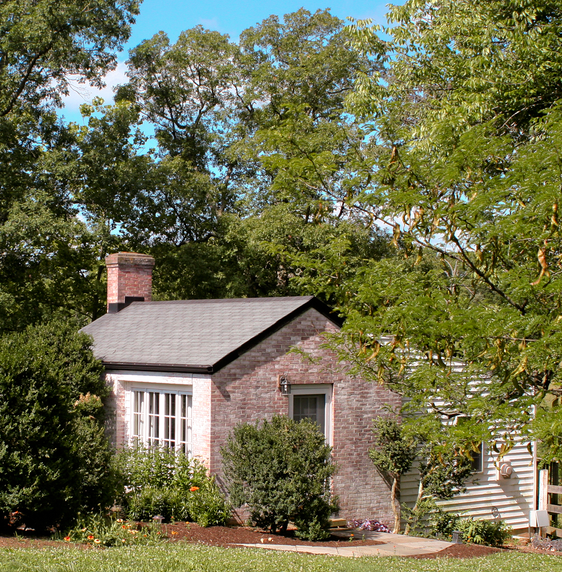 A gardener's cottage from the estate's sheep-grazing days in the 20th Century, the Sangiovese Cottage offers the scale and facilities to accommodate longer stays, in quiet comfort and seclusion for a single couple, within strolling proximity to the historic landmark Ruins, the Tasting Room, and Palladio Restaurant. 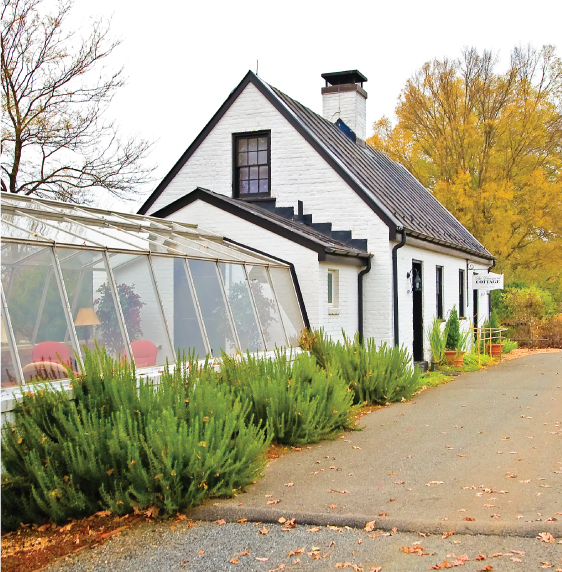 A 19th Century frame residence and dispensary for a physician and his family, the Blue Run Cottage was then our winemaker’s house for 30 years, and now offers three distinctive suites of great comfort and serenity, situated deeply within the estate and with close proximity to the vines. dining at Palladio Restaurant that evening, subject to availability. Please inquire about weekly rental and private functions. All accommodations in the Inn and Cottages are non-smoking, only. We can not accept pets, except certified service animals.